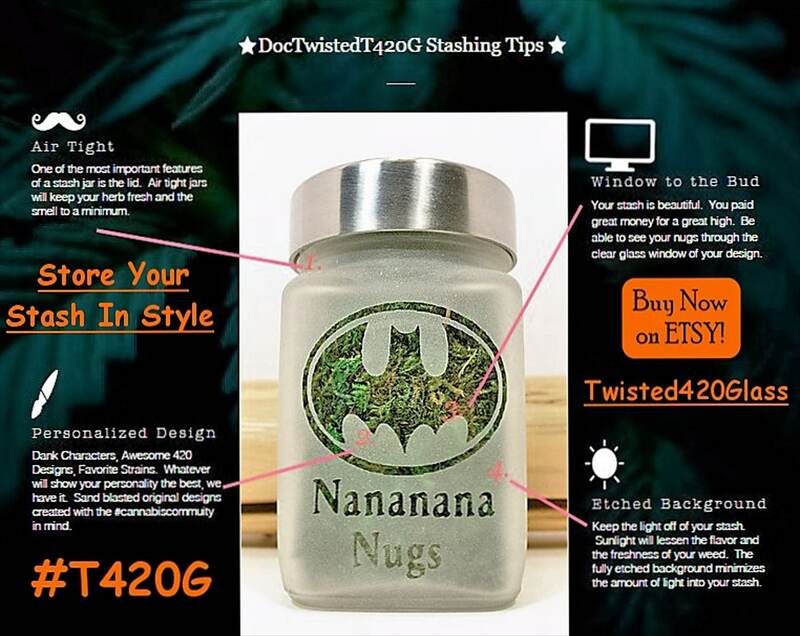 Stash Jars are Perfect Cannabis Christmas Gift for your favorite Stoner. 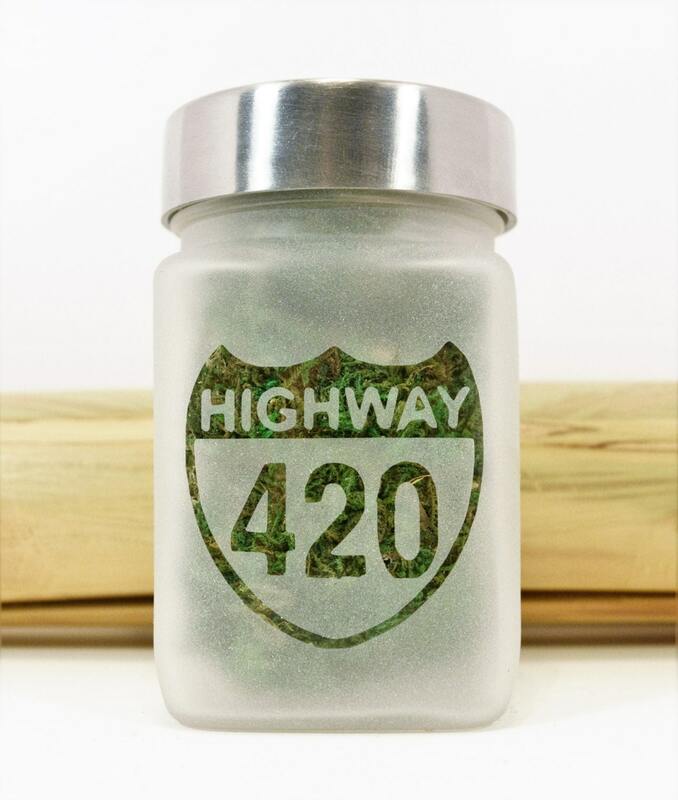 Highway 420 stash jar to keep your weed fresh. 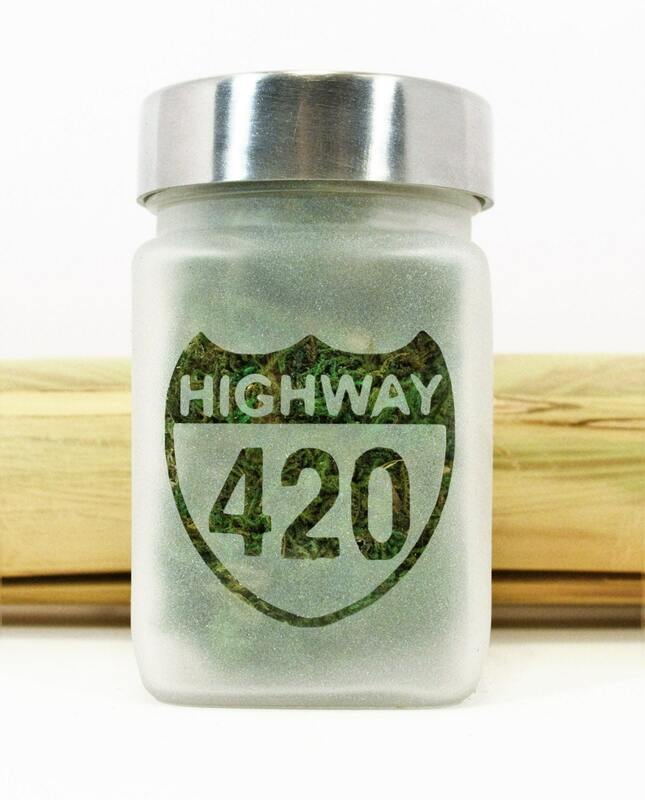 Stoner Gift & Ganja Jars - Food grade stash jar, brushed aluminum screw on lid. 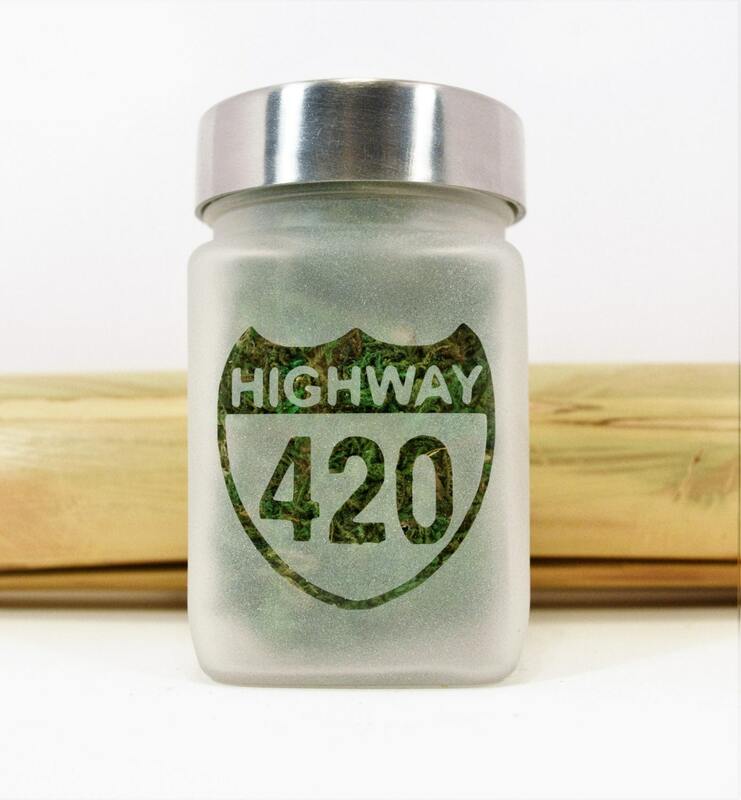 Bud Jar size roughly 2.5"w x 3.5"T.
Note: The Highway 420 image in photo has a green back drop. When it arrives to you the logo will be clear glass. Other sides are solid etched. As a reminder, these are stash jars. If you are in a legal state, stash your weed. Medical Marijuana patient, stash your medicine. Non-Legal state, stash your herbs, tobacco, pennies, buttons, anything and everything you can imagine.